As the many examples of harm during removal demonstrate, this is simply not the case. The quashing of HM Iraq means that it can no longer be relied upon, and if cases have been refused principally because of HM Iraq, there may be grounds for a fresh claim. HM Iraq will now be reheard, and other Iraq country guidance cases are currently being heard. The blockade started at 4.45pm. The single access road to the business park housing both Colnbrook and Harmondsworth detention centres was blocked with three lock-ons, each one encasing the arms of two people in blocks of concrete mixed with steel, glass, and other materials. Around 30 more people supported the blockade with bodies, banners and noise. They included members of the detainees’ families and others from the Iraqi Kurdish community. As the afternoon went on, more people arrived following call-outs on the web, texts and tweets. A few locals passing by also stopped and joined in. Meanwhile, the Immigration Advisory Service lawyers, representing many of the deportees, were hard at work pursuing a judicial review on the basis that the forced deportation to Iraq would breach deportees’ human rights under internationl law. Evidence of recent escalation in fighting in Kurdistan and other regions contradicts the Home Office’s claim that parts of Iraq are now “safe” (see here for more). Around 5.15pm, half an hour into the blockade, the first word came through that the judicial review had been successful and won an injunction against the mass deportation. But it wasn’t yet clear whether the injunction applied to the whole flight or just to some of the prisoners, and we were still getting reports of some prisoners being loaded onto coaches. In the past the Home Office has thrown legality to the wind and filled up extra spaces on flights with new people, even though they had not been served with so-called removal directions (official deportation order letters) giving them a chance to appeal. We were determined to continue the blockade until we could be sure the whole flight had been stopped. It took half an hour for the police to turn up. When they did, they looked overwhelmed and confused, they made no attempt at first to clear the blockade, just stood watching with the irate Serco and GEO staff. It was only at 8pm that a new “heavy mob” turned up from City of Westminster Police, including one cameraman. The senior officier in charge read a Section 14 of the Public Order Act notice, ordering us to move across the street or be arrested. Next we were expecting the specialist lock-on cutting team. Besides reinforcements in various materials, the lock-ons featured glass tubes around the arms, and nails ready to smash the glass under pressure. People in the lock-ons could be seriously injured by cut arteries unless specialists removed them with extreme care. It goes against all instincts and dignity to lay down and passively put your life in the hands of cops. But it has proven an effective tactic which can hold a blockade for several hours. In the last 2 years Britain has deported 300 Iraqi refugees to Baghdad. 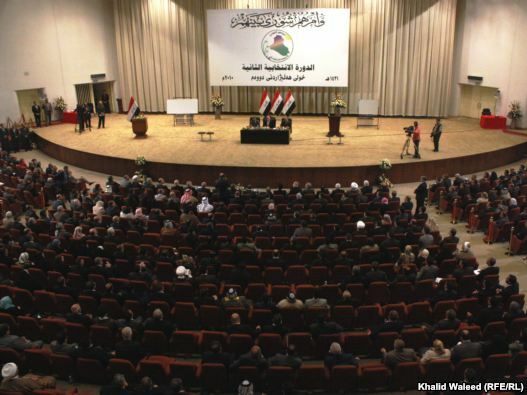 Workers and students in Iraq have begun a campaign to oppose this policy. They are asking for international solidarity. Many Iraqis have been arrested this week in preparation for another mass deportation to Baghdad. According to media reports and evidence collected by the International Federation of Iraqi Refugees, many of those who have been deported before are now living in hiding, in fear of the persecution they originally left Iraq to flee. Some have been assassinated. Others, have committed suicide only days after being deported. Others have been kidnapped and killed, while others have had mental breakdowns. Many more have had to leave the country and become refugees again. 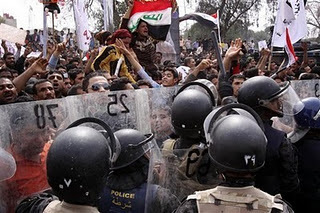 Recently, people in Iraq began a movement for freedom, justice, jobs and services, and against political corruption -inspired by the popular uprisings across the Middle East. Peaceful demonstrations against the authorities were repressed violently. The government’s response was condemned by Amnesty International and Human Rights Watch. But the British government continues to deport people to Iraq. The International Federation of Iraqi Refugees is beginning a new campaign. 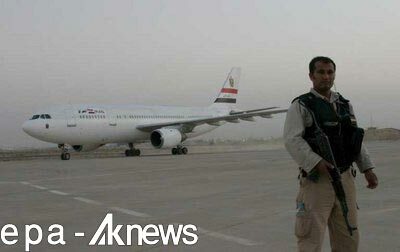 We demand that the Iraqi government stops accepting people forcibly returned to Baghdad Airport. We also demand that the United Nations High Commission of Refugees puts pressure on European countries to respect the human rights of Iraqi refugees. We also demand that the Iraqi government compensates deportees, providing them with work or unemployment benefit and supports them to rebuild their lives in Iraq and Kurdistan. Eight years after the invasion of Iraq, the UK government continues its attack on Iraqi people through policies of detention and deportation. The injustice of deportations is now more an issue than ever in Iraq and with more pressure from Europe there is a chance the KRG and the Iraqi government can be forced to take a stand against them.